Company History Federal Welder to Aii| Automation International Inc.
"Automation International, Inc. is a compilation of several former welding companies merged into one. As such, our heritage dates back to the initial industrial welding growth of the U.S. in the early 1900's. Through the history of our mergers and acquisitions, A.I.I. has shown unbroken continuity in the supply of arc and resistance welding machines and metalworking equipment for over 100 years." The FEDERAL Machine and Welder Company is closely tied with the history of resistance welding founded in 1886 by inventor Elihu Thomson. In the early twentieth century, F.P. McBerty, a Warren Ohio engineer, built the first spot welder, and in 1911, he began making welders for industry. The period of growth which followed was a troubled one due to a patent that was being enforced on resistance welding. 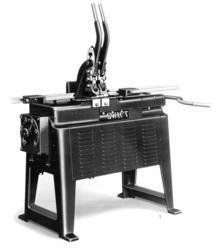 The patent stated that a royalty equal to the price of the machine was to be paid for the use of the welder. As a result in 1917, an injunction was placed on McBerty, which restrained him from engaging in the welder business. Sheet metal manufacturers realized the value of resistance welding as a production tool and knew that it was a definite hindrance to industrial progress to pay large royalties for the use of spot welders. The FEDERAL Machine and Welder Company was organized for the dual purpose of contesting the patent and building welders for the 126 sheet metal manufacturers who subsequently became the company’s stockholders. McBerty was elected as manager of FEDERAL, coupled with stockholders and potential customers formed the Who’s Who of the welding industry. L.J. 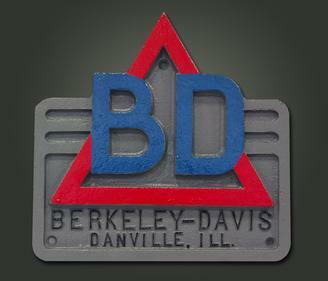 Berkeley opened the doors of the Berkeley Machine Company in Danville, Illinois in 1942. He developed one of the first automatic longitudinal seam arc welders for light gauge temporary pipelines from combat tankers to shore. Approximately 75 machines were built for the armed services. 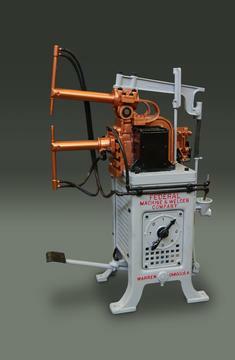 As a result of this success the Berkeley Machine Company was firmly established in the automatic arc welding field. In 1955, John Berkeley (the son of L.J. Berkeley) and Charles Davis started Berkeley-Davis, a company that was in direct competition with theBerkeley Machine Company. FEDERAL was also seeking to expand into the automatic arc welding business and accomplished their goal by purchasing controlling interest in Berkeley-Davis in 1957. This created a series of mergers. FEDERAL merged into the McKay Machine Company of Youngstown, Ohio. McKay was a manufacturer of strip processing equipment seeking to diversify. At the same time McKay bought the remaining portion of Berkeley-Davis and Berkeley Machine. Thereby, successfully merging the two companies into Berkeley-Davis in 1960. The manufacture of the FEDERAL line was consolidated with Berkeley-Davis arc welders in 1963 in Danville, and became a solely owned subsidiary of Wean-United, Inc. In 1985 Berkeley-Davis purchased the assets of the Swift-Ohio Welder Company and merged the two companies. The company remained in Danville. In July 1991, virtually all of the assets of the Berkeley-Davis Company were purchased by the newly formed company of Automation International, Inc. In 2013 – A.I.I. acquired the intellectual property of Hess Industries’ Rim and Wheel Division. Hess Industries was located in Niles, Michigan and was a major competitor in the role of industry leader in the design and manufacture of automated wheel production equipment including welding, metal-forming, assembly and spinning. 2014 – A.I. Welders, Ltd. U.K., originally located in Inverness, Scotland, an asset purchase, was acquired and brought to Automation International’s facility in Danville, IL. A.I. Welders Ltd. provided metal joining machinery, metal forming systems and related equipment globally for over 125 years. This purchase added to Automation International’s established role as an industry leader in the design and manufacture of automated welding equipment including metal forming, production equipment, welding, assembly and spinning. It also added two new product lines in friction welding and anode rod aluminum welding equipment. 2016 - Ohio Machine Company was acquired and all of the equipment moved into the plant in Danville, IL. Retread Molds and Matrices, Precure Molds & Matrix Inserts, Control Systems and Control Upgrade Capabilities were added with this acquisition.